More than one Design !! Best Printing & Design LLC recently completed a redesign of website, bringing their online presence into the modern web with a WordPress CMS-based, respon- sive redesign optimized for all the different web-browsing devices of today. Best Printing & Design LLC re-built the site from the ground up, based upon the WordPress content management system. 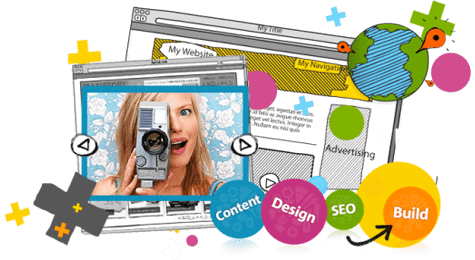 This foundation allows the owners to update the site on their own without the need for them to contact Best Printing & Design LLC for every change. Updates are as simple as typing in a Word docu- ment, and since the pages are generated dynamically, different sections of the site will never fall out of sync with one another. Menus and other design elements can be changed across the entire site in one place. The new design is also responsive, meaning that it reformats to be optimally usable on different sized screens from the small mobile phone to the large desktop moni- tor. This presents a much more user-friendly experience than a one-size-fits-all site that would appear microscopic on small phone screens. Best Printing & Design LLC also created complex and custom contact and quote- request forms tailored to needs. Now, in addition to the basic contact form and phone number, contractors can submit quote requests with a wealth of technical information, greatly expediting the entire sales process.